An industrial interior is the trend of today! An industrial interior is particularly characterized by the use of sturdy and robust materials. In which much use is made of the combination of metal and wood. This is mainly based on the factory buildings from the 19th and 20th century. The factory halls with the rough walls, concrete floors and high windows in which the pipes and drain pipes are not covered but are fully visible. The colors that are commonly used are neutral colors black, white and gray. These characteristics are increasingly reflected in interior styles. With the use of metal cabinets, heavy, wooden furniture, concrete floor and unfinished walls, an industrial style is created. An industrial floor lamp provides extra light to fill that one dark corner or give more light when reading a book. An industrial floor lamp also gives an extra piece of atmosphere to the living room. A floor lamp is often very large and you can certainly show off! We give you more insight into the different types of industrial floor lamps for various interior styles! Industrial floor lamps are available in different sizes and colors, but one thing they have in common and that is the use of sturdy materials! Materials such as metal or wood are often used in industrial floor lamps. This can be a combination of both materials or the materials are only used. Wood gives a robust tint to an industrial floor lamp and is often combined with metal materials. So you often see a combination of a wooden frame and metal lampshade. This gives the living room more atmosphere with a touch of industrial. Floor lamp Noel is a perfect example of this. An industrial interior is known for its openness and robustness. With floor lamp Noel the wires are clearly visible, which is perfect for the Noel floor lamp! The metal floor lamps give a strong accent to your interior. Many available to place as a piece in your living room. The metal floor lamps are available in different industrial colors, in gray, black or anthracite. 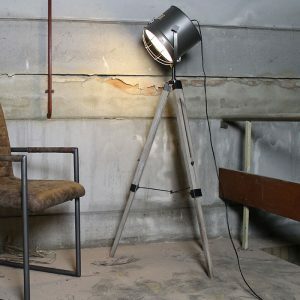 You also see many industrial floor lamps finished with a concrete look which gives a nice look in your interior! This is a single leg, which you often encounter in the industrial interior as a folding arm, and a tripod. The single leg often has an extra large platform at the bottom of the lamp to create firmness. A single leg in the industrial floor lamp is often carried out in a folding arm floor lamp. The handy of a folding arm is the height adjustment of the lamp. The possibility of adjusting the lamp by means of the articulated arm makes it possible to direct the light at which it is needed. This is of course useful when reading a book or magazine! 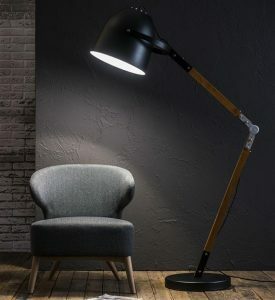 Floor lamp Miami is a folding arm floor lamp, very suitable for that extra light when reading! The tripod as undercarriage is a floor lamp that is stable and gives a cool look to your living space. You can also see many lamps coming back that resemble the old studio lamps from a film studio. This often uses a dense lamp shade. This often uses a dense lamp shade. Floor lamp Nominate is a good example of this. Floor lamp Nominate is a good example of this. There are also floor lamps in the factory lamp style that have a cut-out lampshade. This is explained below. A tripod frame in different variants and with different lampshades is also available. In the shop you can see a number of these industrial floor lamps! With industrial floor lamps, there is plenty of choice in types of floor lamps. It is now really the trend to have an openwork lampshade. This is a lampshade in which the lamp is very visible. A rustic LED lamp is often used for this. 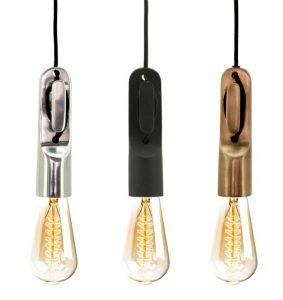 The By Boo hanging lamp Lobos is an example of these rustic LED lamps. The By Boo hanging lamp Lobos is an example of these rustic LED lamps. This is a lamp that can also be seen and often screened with a metal grid. This is a cool finish to an industrial floor lamp! 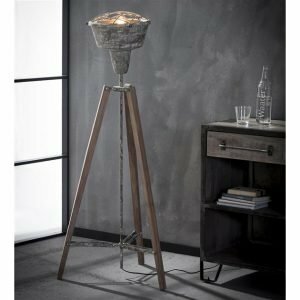 Floor lamp Tess and the By Boo Heatwave floor lamp are great examples of this! There are also lampshades with a densely worked lampshade. The lamp that is attached inside is not visible. Here is often a glass for which the light is evenly distributed in the living area. Combine an industrial floor lamp with modern furniture pieces! Combining industrial accessories is great with a modern or vintage interior. Put an industrial floor lamp next to modern and sleek furniture. Below are some cool combinations!